Native American romance that will make you believe in powers of the mind. . .and the power of love to heal two wounded souls. Dearest Irish concludes Lyn Horner's chronicles of the amazing Devlin siblings. Each possesses a rare psychic talent they hide for fear of persecution. Set 1876, this book stars Rose, youngest of the three. Rose has an extraordinary ability to heal with her mind, a secret gift that has caused her great pain in the past. She also harbors another darker secret, one that threatens her chances of ever finding love. Choctaw Jack, a half-breed cowboy introduced in Dashing Irish (Texas Devlins, Book Three) straddles two worlds, dividing his loyalties between his mother’s people and the family of a friend who died in the Civil War. Like Rose, he keeps shocking secrets. If they ever come to light, he stands to lose his job, possibly his life. Yet, after discovering Rose’s healing gift, Jack risks everything, kidnapping her from her brother's Texas ranch in a desperate attempt to save his dying mother. Will Rose heal Jack's mother? How will his Indian relatives take to a white woman in their midst? And what will Rose's brother do when he tracks the pair down? This is the third book in the Texas Devlins series, and it is Rose’s story. Book one and two were about Rose’s brother, Tye, and her sister, Jessie, and how they found their mates. Each of the siblings has a gift, and Rose’s gift is healing. She left Chicago to come to the Double C Ranch her brother Tye owns to heal his sight, and she has stayed. For seven years, Rose lived in a convent and was about to take her last vows when she was thrown out by the Mother Superior. Why was she thrown out? What could a young innocent Irish girl have done to cause her to be expelled from the convent? Rose is living with a dark secret, one she has never revealed to anyone. Did it have to do with what happened at the convent or was it something else? She is staying with Tye and his now pregnant wife, Lil, trying to find a place for herself. Her life changes the day she watches her brother try to tame a wild stallion. While watching Tye get thrown time after time, the stallion suddenly charges the fence where Rose is standing, but before she could be harmed she is saved by a man named Jack. Jack works at the ranch during the cattle drive preparations. Jack is slightly hurt, and the horse’s leg is sprained. Using her gift, Rose goes to the barn at night and heals the stallion becoming his friend. Jack sees her healing the horse. It becomes clear that Rose is the only one that the stallion will let near him. Jack is assigned the task of teaching Rose to ride. If she can ride the stallion, she will save him from being destroyed. This stallion will be the one responsible for changing her life. Jack finds out that his mother is dying. Knowing Rose’s gift, he needs her to accompany him back to the reservation. Unwilling to go he finds himself kidnapping her. Knowing the danger this action will cause him is not enough to stop him from trying to save his only living relative. Jack, like Rose, has secrets that are unknown to others. Along the way to his home, Jack begins to feel an attraction to Rose even though he swore he would never marry a white woman. At the same time Rose feels strongly towards him, but she has sworn she will never marry or sleep with a man. What happened to her to cause her to feel this way? Can two people with troubled pasts find the one thing they have been without, love? It is Texas in the 1800’s and we learn a lot about life on the reservation. Of course, the Civil War is over, and Indians are treated as badly as the former slaves. What chance would there be for an Indian and a white woman in that era? 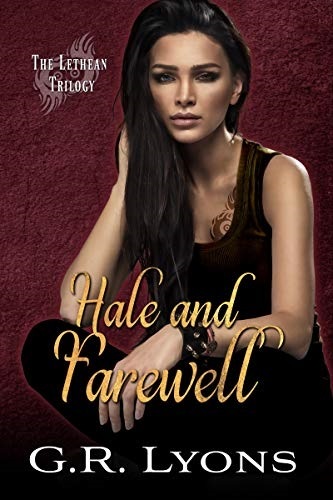 This was a beautiful romance and it was a book filled with amazing characters. I loved this book and although there is no need to read the series in order you would be missing out on two other wonderful love stories. 3rd Place Winner for Best Historical Novel 2013 PRG Reviewer’s Choice awards!